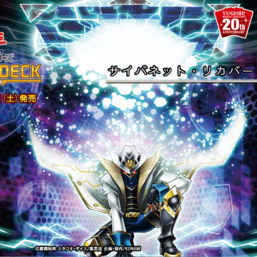 "Cyberse White Hat" in the artwork of "Cynet Recovery"
"Cynet" (サイバネット Saibanetto, "Cybenet") is an archetype of Spell and Trap Cards centered about supporting Cyberse and Link Monsters. They are used by Yusaku Fujiki in Yu-Gi-Oh! VRAINS.